Deputy PM Gen. Prawit Wongsuwon and his entourage on an inspection tour of Bali Hai Pier. Defense Minister Gen. Prawit Wongsuwon toured Bali Hai pier to check the facilities and management processes Pattaya has put in place for tourists. Chonburi Gov. 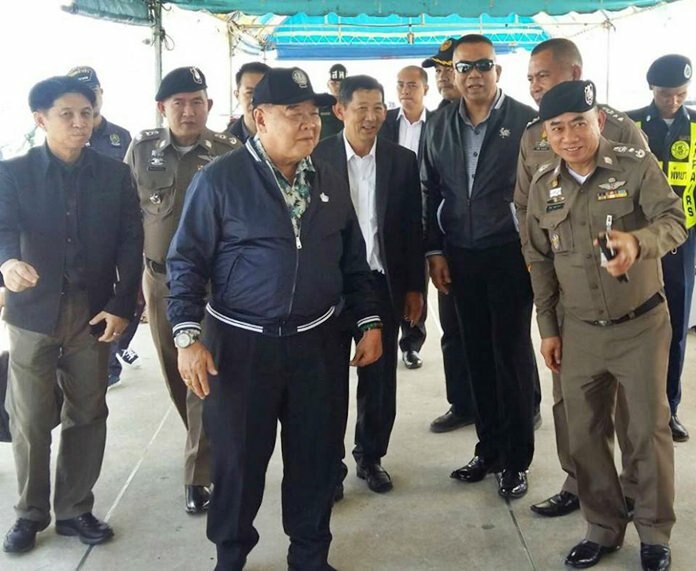 Pakarathorn Thienchai, Mayor Anan Charoenchasri and top provincial government, police and military commanders greeted Gen. Prawit, who also serves as deputy prime minister, to the South Pattaya jetty May 19. Prawit quizzed local officials on safety and security, as well as operational problems and obstacles that can be addressed in future policy and budget initiatives. 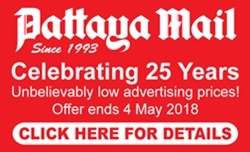 He then moved to the Naval Radio Station atop Pra­tamnak Hill to pay respects to the statue of Prince of Chumphon Abhakara Kiartivongse for Apakorn Day.